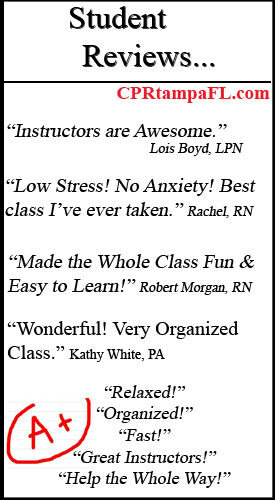 Get Certified in ONE Stress-Free Day! 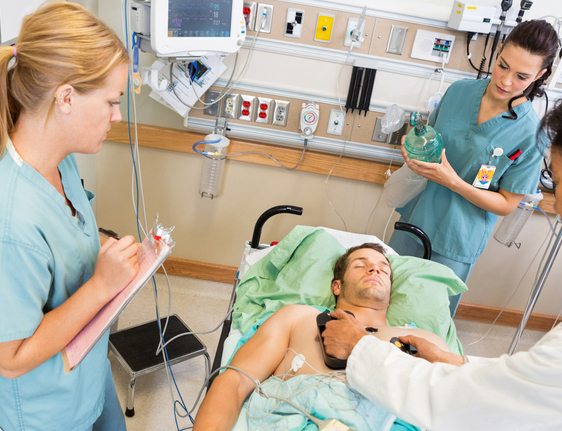 Get certified in Advanced Cardiac Life Support in a relaxed, stress-free environment. 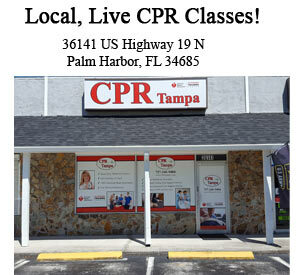 CPR Tampa offers this one day ACLS class at its Palm Harbor location. 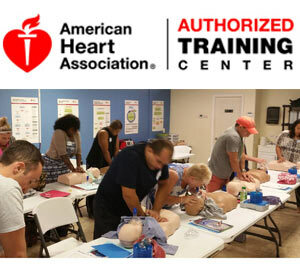 This American Heart Association course is for anyone working in an emergency or a critical care type environment, such as paramedics, critical care nurses, surgeons, emergency department staff, etc. Our AHA certified ACLS instructors are highly experienced, and most importantly extremely friendly and understanding. Their goal is to create a relaxed, comfortable classroom in order to ensure an environment designed for optimal learning. Immediately after registration you will be shipped the required course manuals, as well as step-by-step directions on how to prepare for a successful ACLS class experience. At the end of class you will be required to take a fifty question exam and a hands-on Mega Code. Between the pre-course preparation and the day long teaching, you will be ready to succeed! ACLS Provider Cards are awarded immediately after class. -100% American Heart Association Approved. -Get Certified in ONE DAY! 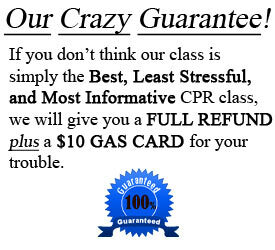 -Receive Your Card Day of Class! -FREE Reminder System – Keeps You From Expiring! We offer an All-Inclusive ACLS Package. Part of this package includes not only the Required AHA Manual, but also an ECG Pharmacology Manual that will help you review ACLS drugs. Reviewing this information will make you feel confident even before ever getting to class. A First Time Advanced Cardiac Life Support class can be intimidating at first glance. Please be assured that CPR Tampa teaches this course in the most non-intimidating manner. We welcome students with a big smile from the first time they walk through our door. This friendly, relaxed and caring approach continues throughout the entire day until smiles and goodbyes are said. We take this very seriously. Your success and satisfaction means everything to us. 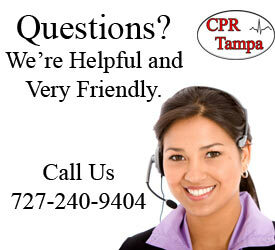 Our goal is to provide the best ACLS class Palm Harbor has to offer. 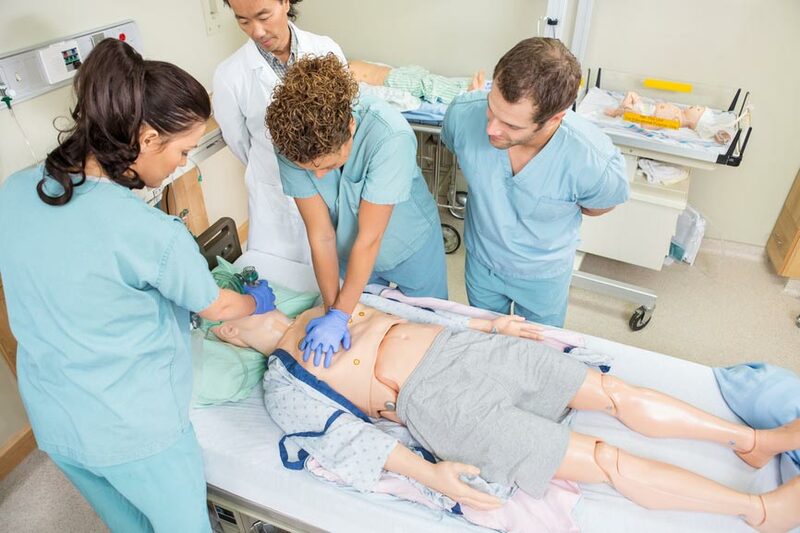 Here is an overview of what is covered in an AHA ACLS course: Airway management including multiple airways, intubation and respiratory arrest. 1 rescuer CPR with and AED and review of H’s and T’s. Review and management of ventricular fibrillation and pulseless ventricular tachycardia, bradycardia, PEA, and asystole. stroke, importance of early recognition, rTPA, Cincinnati Stroke Scale, acute coronary syndrome, Mega Code scenarios and written exam. All of the above is covered thoroughly throughout the day by the instructor. There is plenty of time for questions and practice. Although the class is long (8-10 hours), it is completed in one day. There is also a lunch break given at the midpoint.